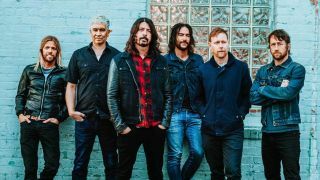 Foo Fighters have released a video for The Sky Is A Neighborhood, a song Dave Grohl describes as “the biggest thing sonically that we’ve ever done.” It’s taken from the band’s upcoming album Concrete And Gold, the follow-up to 2014’s Sonic Highways. The video for The Sky Is A Neighborhood, was directed by Dave Grohl. Continuing the space theme, the band have also launched a constellation viewer, which allows fans to explore the skies via their mobile phone, while “tiny Foo Fighters soundtrack your explorations at the bottom of the screen”. You can configure the viewer by clicking here (mobile only).